CPC artwork as cover for JMB! On the cover: Proteins find their way into their active three-dimensional structure on a rugged energy hypersurface. In the cell, molecular chaperones assist protein folding. In this issue of Molecular Cell, Morán Luengo et al. (pp. 545–552) report that the conserved Hsp70 and Hsp90 chaperones form a cascade that is only active in the first, red-hot minutes of the folding process. The subsequent passage through the trail to the native state is long and slow—and free of interference by chaperones. Artwork by Stefan Rüdiger, acryl on canvas. 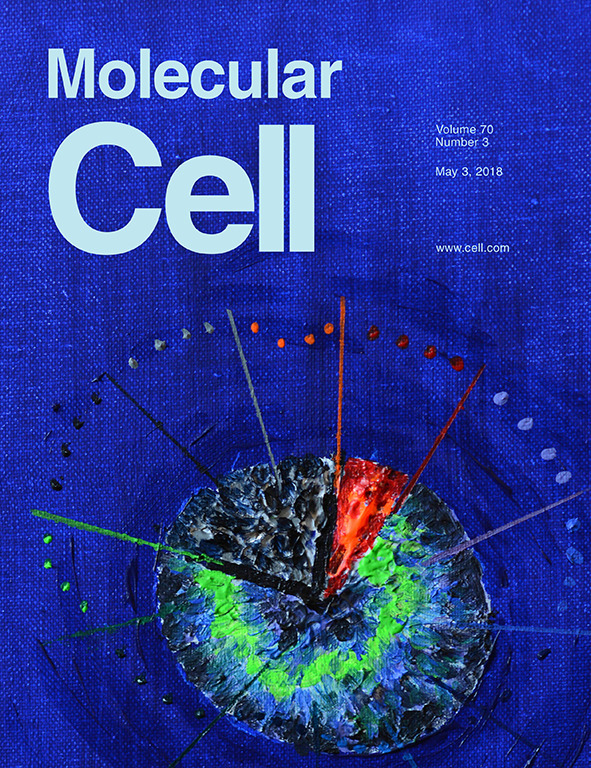 CPC artwork as cover for Mol Cell!